After we had finished reading The Chronicles of Narnia I wasn't really sure what the next book would be. I set out looking for books that D might enjoy hearing at night. After a bit of research online I found a few authors to look out for and set about trying to find a book that D would like. 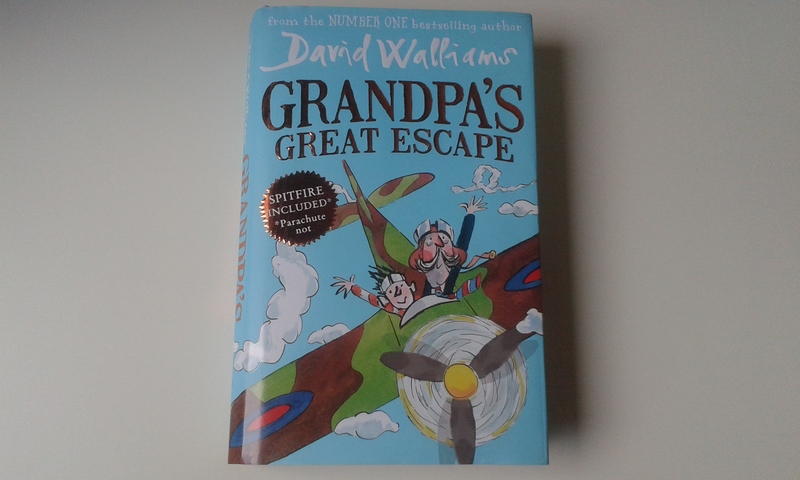 After a while I came across Grandpa's Great Escape by David Walliams. Grandpa's Great Escape is about a young boy called Jack and his Grandfather who is suffering with dementia and his brain is stuck in World War II. Grandpa and Jack have been making up adventures that are very real to them inside Grandpa's flat when Jack comes to visit. Grandpa is reliving his glory days as a World War II pilot when he would fly up, up and away in his spitfire. As Grandpa's dementia gets worse he and Jack take on real life adventures that have their very own life and death moments! This funny and daring duo get in to all sorts of trouble right from the start when Grandpa first climb up the church spire to get up, up and away in his spitfire. They become detectives, escape artists, pilots, among other things throughout the book. David Walliams has done a fantastic job on portraying dementia and it's effects on the mind of loved ones in side this exciting story about Jack and his Grandpa. He has wrapped up so much excitement, adventure, joy and sadness in the pages of Grandpa's Great Escape in a way that is understandable to children and adults. Not only that but he even manages to fit in a lot of facts about World War II, Rulers names, nick names used during that time for various people, how the air-force worked throughout World War II, the type of planes that were used and many of their uses, David Walliams even has a good part of the book where Grandpa thinks he is in a prison of war camp! The way he has written the book appeals to the sense of adventure in us all while we are taking in so much useful information at the same time. No mean feat in a children's book! 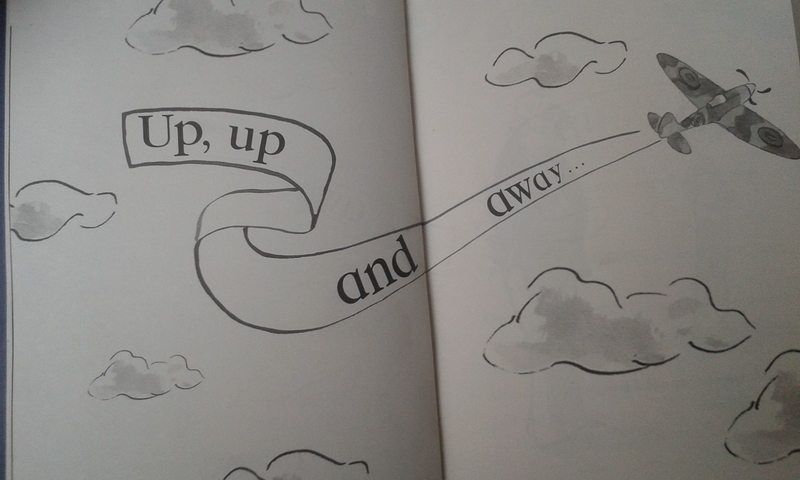 The childish appeal to the book doesn't stop with exciting adventures, the pages of the book itself are set out in a way to appeal to children with pictures throughout the book and the changes in the font and size of certain words draw you in to read the page just to find out what is happening and why the fonts are changing. The illustrator of Grandpa's Great Escape, Tony Ross has done fantastic work bringing the book to life. His illustrations are precise and interesting. They ignite the imagination with all the adventures there aren't illustrations of. 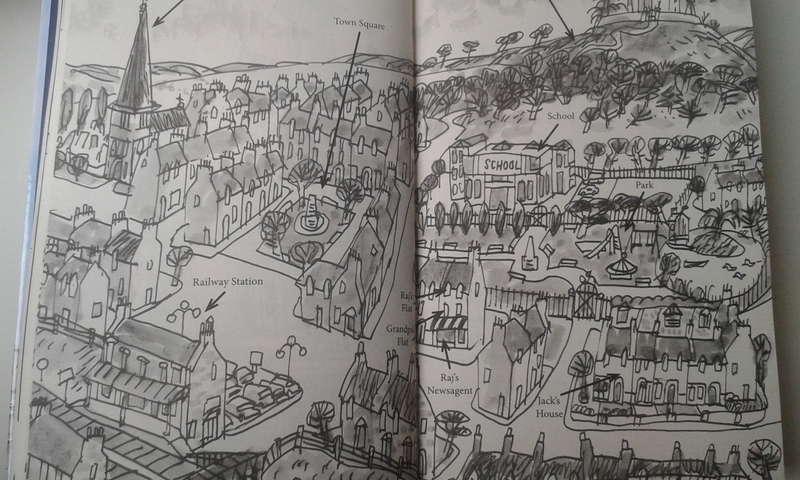 There's also a lot of detail in the illustrations. I love the cartoon feel his illustrations give to the book and the characters. The combination of David Walliams and Tony Ross is a perfect match for Grandpa's Great Escape. D was very interested in not only hearing this book much like the other novel's we have read but he wanted to see what was happening on the pages. He watched my finger move across the words and copied what I said out loud at the time my fingers pointed to the words in other. D was much more engaged in this story when it came to the physical book. D found the adventures of Jack and Grandpa thrilling, there where points where he had to sit up so he could listen to more of the story. We read around 2-3 chapters a night with the book containing 66 chapters all together. 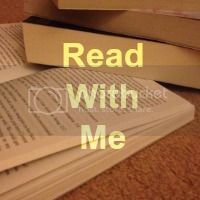 There was actually a few days throughout the month where D brought the book downstairs and sat up with me on the sofa ready to read some more, which has never happened with a novel we are reading before! Although the book is aimed at children aged 9-12 years old, D still enjoyed the book. I don't think he really understood the dementia side of the book or why the book was changing between the time of World War II and 1983 where Grandpa is getting in trouble. He enjoyed the adventure and I know this book will be one that will be kept in our collection for years to come. I personally enjoyed reading the book with D at night and found I was very much interested in finding out what happened next which I hadn't been expecting. Having studied history during my GCSE's and in particular World War II, this book really sparked that interest for me again. I remembered almost all the facts and information about World War II which David Walliams noted but it was a new take on the information and a new perspective of the young boy living after the time of war and the old man who still believed they where at war. Reading as those two worlds collided in a spectacular way was enjoyable. We will be putting David Walliams on our list of Authors to look our for and since starting the book have also bought 2 other books by David Walliams. I would recommend Grandpa's Great Escape to anyone with children or a child that has a family member who is suffering from dementia, who enjoy adventure and excitement in a book, who are learning about World War II in school and those who take an interest in history. You can purchase Grandpa's Great Escape by David Walliams on Amazon by clicking the link. The book is £5.00 at the time of writing this. You can also find all our favourite books we've wrote about by clicking on the badge below. 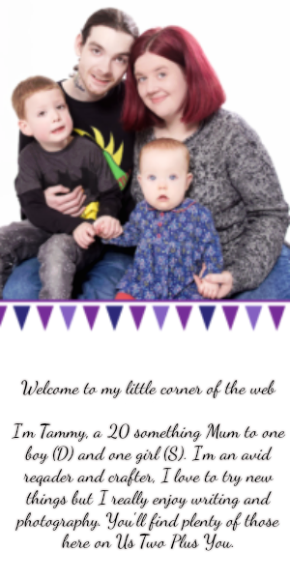 We are linking up to Mama Mummy Mum for Read with me. You can pop over using the badge below. This sounds like a great book to help children to understand dementia while they learn more about history. This sounds brilliant! I love the way he's combined humour, with a very serious issue and learning about WWII. I'd quite like to read it myself! My boys used to read all the David Walliams books, but they're 12 and nearly 15 now and this was the first one we didn't buy. My 10yo daughter likes David Walliams on TV, but has never read any of his books. It is a great read and it would be perfect for reading during the summer, if it was a hit you could maybe take them to a war museum and show your kids all the items from the book too! We're going to see some soon. It was very educational on many levels and in such a child friendly way too. Oh yes, David Williams has a few children's book's now. Thank you. It was! Yes He has combined all the serious elements of the book in a fun and realistic way! I enjoyed reading the book to D. D is the opposite and has no idea who David Walliams is but loves the books! Yes it is, there's so much potential inside the pages and David Walliams has done a fantastic job in sparking the imagination along with supporting children's education on history and dementia to create a better understanding of both! David Walliams writes brilliant books, I love his sense of humour. This one sounds really interesting and such a good subject matter too. I totally agree with you, they are a joy to read. It was a fantastic book that was both educational and enjoyable.